Background: Rehabilitating a compromised site in the maxillary anterior dentition is a challenging task. 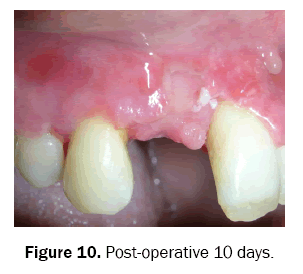 This case report describes an efficient technique combining the use of free gingival graft (FGG) and a subepithelial connective tissue graft (SCTG) for soft tissue augmentation in Class III ridge defect. Method: The surgical procedure consisted of a connective tissue “platform” retained over the edentulous space, facilitating stabilization and suturing of the grafts (FGG and SCTG). The buccal partial thickness flap was coronally advanced over the SCTG and sutured without tension with the palatal flap. Results: The procedure achieved good soft tissue volume and compensated the horizontal and vertical deficiency. Three months post augmentation prosthetic rehabilitation resulted in a highly satisfactory esthetic outcome with a good emergence profile. Conclusion: A single surgical procedure accomplished horizontal and vertical soft tissue augmentation. It resulted in good esthetic outcome in addition to restoring the form and function of a compromised site. Periodontal plastic surgery encompasses procedures designed to reconstruct deformed, partially edentulous residual ridges . The causes for structural loss of the residual alveolar ridge include congenital defects; periodontal disease, surgical procedures and traumatic tooth extractions. As a consequence to this the overlying soft tissue collapses into the bone defects leading to a contour that compromises the esthetic outcome of the resultant prosthesis . A malformed ridge with compromised contour may lead to open gingival surfaces leading to formation of unesthetic black triangles, food impaction and percolation of saliva during speech . Ideally the residual ridge should allow the placement of pontic which appears to emerge from the ridge and mimics the appearance of the neighboring teeth. However, deficient ridges resulted in the use of longer pontic teeth, simulation of gingiva by using a flange over pontic teeth or by constructing a removable prosthesis that attempts to simulate the anatomical contour of the edentulous alveolar ridge. Prostheses of this type may serve the function but they lacked realism and the patient was dissatisfied because of the poor esthetics. Seibert  classified ridge defects as Class I associated with buccolingual loss of the ridge contour, Class II when the loss of ridge contour was apico-coronal, and Class III in the case of a combined loss of ridge contour. Allen et al. introduced the assessment of the defect depth relative to the adjacent ridge which were categorized as mild (<3 mm), moderate (between 3 and 6 mm), or severe (>6 mm). An increase in soft tissue ensures mucogingival esthetics around implants, teeth and fixed prosthesis, whereas guided bone regeneration with autogenous bone or bone substitute is help augment volume of bone necessary for successful placement of implants . Subepithelial CTGs were mostly used in mild or moderate Class I and II defects . Zucchelli G  proposed a technique using SCTG for soft tissue augmentation in Class III ridge defects where a connective tissue “platform” was retained at the edentulous space, which facilitated the stabilization and suturing of the connective tissue grafts. The FGG was doubled to achieve adequacy of graft thickness to treat horizontal soft tissue loss. The soft tissue conditioning however at the level of the pontic began 09 months after surgery and the final prosthetic phase began 14 months after surgery. This case report describes a novel technique for soft tissue augmentation using a combination of FGG and SCTG technique in a Class III ridge defect. A 34-year-old female was referred to the dental OPD with a complaint of missing maxillary right central incisor. There was partial edentulousness with relation to maxillary right central incisor with Siebert’s Class III ridge defect, Millers Class III recession wrt maxillary right lateral incisor and Millers Class I recession wrt maxillary left central incisor (Figures 1 and 2). 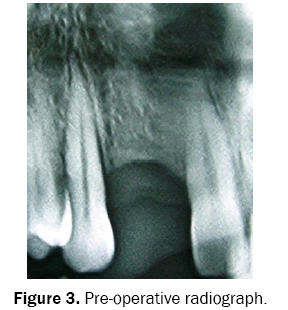 Radiographic examination revealed reduced height of bone in partially edentulous space (Figure 3). Due to reduced height and width of bone in partially edentulous region along with increased space present between maxillary left central and right lateral incisor it was decided to rehabilitate the region using a fixed prosthesis. However a poor emergence profile of the pontic was anticipated and the treatment plan included a two stage surgical management which included marginal tissue recession coverage wrt maxillary right lateral incisor followed by soft tissue augmentation of the ridge deficiency. Figure 2: Seibert’s class subepithelial deficient ridge. A surgical procedure was undertaken for marginal tissue recession coverage wrt maxillary right lateral incisor which consisted of lateral periosteal pedicle graft which was harvested distal to area of recession owing to reduced bone height on mesial aspect followed by laterally displaced flap. The surgical procedure for the soft tissue augmentation consisted of two parallel paracrestal horizontal incisions performed at the buccal and palatal edges of the occlusal surface of the edentulous area (Figure 4). This allowed for in situ maintenance of a soft tissue “platform” after buccal and palatal flap elevation (Figure 5). The buccal incision consisted of a full-thickness flap elevation continued to expose the crestal buccal bone followed by a partial thickness flap design made around the crown of the adjacent teeth involving another additional tooth on either side if required. This was in the form of an envelope flap without any vertical release incisions. This design facilitated a passive coronal advancement of the buccal flap. The platform of tissue over the crest was left intact. The facial portion of the anatomical papilla was de-epithelialized to create connective tissue beds to which the papillae of the coronally advanced buccal flap were secured at the time of suturing. 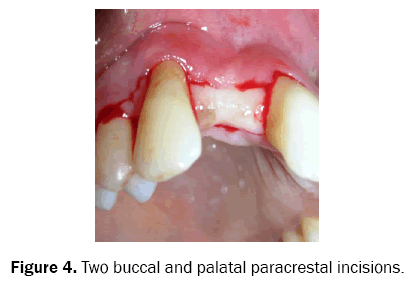 Figure 4: Two buccal and palatal paracrestal incisions. 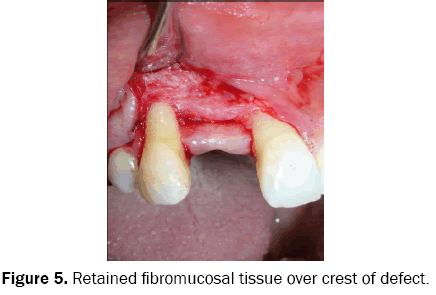 Figure 5: Retained fibromucosal tissue over crest of defect. The palatal flap was raised in a split-thickness manner (up to the palatal crestal bone) and was limited to the edentulous area so as to expose palatal surface of the soft tissue platform and facilitate suturing of the flaps. 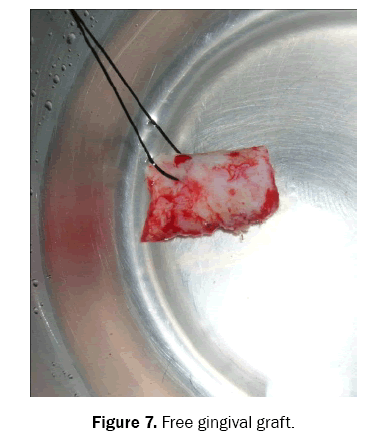 The occlusal surface of the retained soft tissue platform in the edentulous area was deepithelialized to create a platform of connective tissue which acted as a recipient site for securing the graft. Both the horizontal and vertical components of the soft tissue defect were planned to be addressed by this technique. A free gingival graft was harvested and cut into two halves of which one half of the FGG was de-epithelialized (as SCTG) and the other half retained as a FGG (Figures 6-8). This also had the advantage over other CTG harvesting procedures because of the limited thickness of the palatal fibromucosa. The SCTG was anchored and sutured buccally to the periosteum in the apical aspect and retained platform of tissue coronally to address the loss of bucco-palatal soft tissue. The second graft in the form of FGG was positioned above the occlusal surface of the deepithelialized platform and sutured. This graft compensated for the vertical tissue defect (Figure 9). The buccal flap was then coronally advanced to cover the SCTG on the buccal aspect and sutured to the palatal flap without tension and making no attempt to completely cover the FGG (Figure 10). 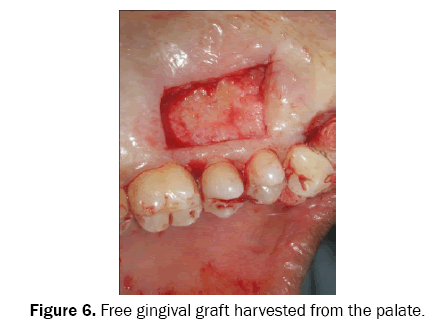 Figure 6: Free gingival graft harvested from the palate. Figure 7: Free gingival graft. Figure 8: The harvested graft cut into two halves. 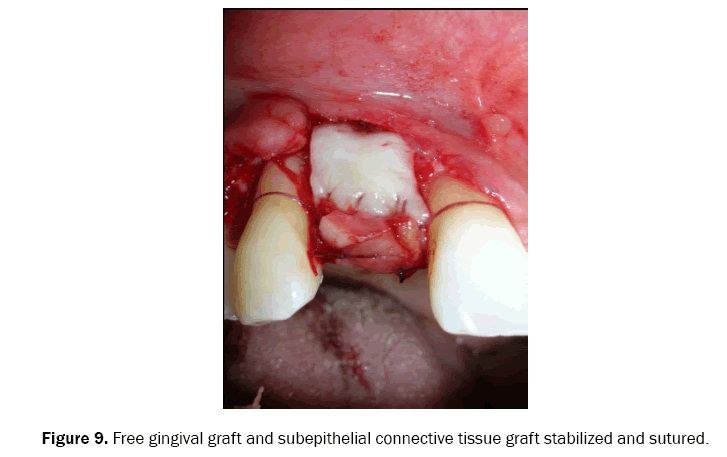 Figure 9: Free gingival graft and subepithelial connective tissue graft stabilized and sutured. Figure 10: Post-operative 10 days. The post-operative healing after 10 days was uneventful and satisfactory (Figure 11). Three months post-operative revealed the augmented area showing good color match which was well integrated with the adjacent gingival tissue. There was remarkable increase in the vertical and horizontal dimensions of soft tissue. An augmentation of 4 mm in the vertical and 4 mm in the horizontal dimension of soft tissue was accomplished (Figure 12). Tooth preparation and prosthetic rehabilitation was carried out which resulted in a good emergence profile and a highly satisfactory esthetic outcome was achieved. The patient was kept on regular maintenance recall where it was observed that the stability of the augmentation was maintained and the patient was able to maintain good hygiene in the rehabilitated area. Figure 11: Post-operative 03 months. 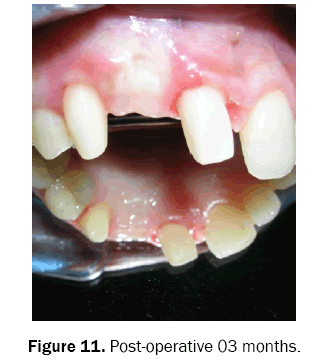 Figure 12: Prosthetic rehabilitation resulting in esthetic emergence profile. 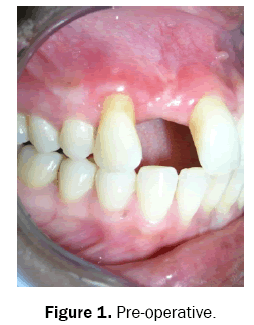 This case report describes treatment procedures performed to restore function and esthetics to rehabilitate a compromised partially edentulous site. On examination a Seibert’s class III ridge defect was observed along with a Class III recession wrt right maxillary incisor also the mesio-distal distance between the two adjacent teeth measuring 12 mm. Due to these reasons implant placement was excluded from the treatment plan and it was decided to rehabilitate the missing tooth using a fixed bridge. The treatment consisted of marginal tissue recession coverage which was performed with respect to maxillary right lateral incisor and subsequently followed by soft tissue augmentation of the ridge defect which resulted in a successful esthetic and functional outcome. A FGG harvested from the palate ensured adequate thickness and volume of the graft. Placement of graft on the buccal aspect of deficient ridge ensured bucco-palatal thickness and on the coronal aspect of retained platform provides vertical height. Techniques that involve the use of full thickness onlay grafts have also been tried for soft tissue augmentation however such graft have been shown to be prone to undergoing necrosis and shrinkage . 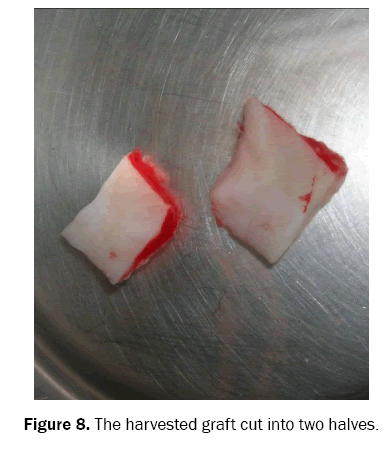 The retention of the soft tissue platform over which both the grafts were sutured in the present technique ensures adequate blood supply to the grafts. The modification performed in the present technique as compared to the one given by given by Zuchelli et al. ensures rehabilitation of the deficient ridge in a shorter period of time, the FGG placed over the coronal aspect of retained platform ensures bulk as de-epithelialization is not carried out and excessive tension of the coronally advanced buccal flap is avoided and primary closure is not required. A natural the emergence profile along with a rehabilitated site which the patient was able to clean and maintain were the highlights of the treatment. A compromised site such as presented in this case report requires thorough treatment planning and a staged approach in order to rehabilitate function along with esthetics. Abrams L. Aesthetics in fixed prosthesis. Presentation before the Harrisburg (Pennsylvania) Dental Society. 1971. Shillingburg HT, et al. Fundamentals of fixed prosthodontics. 1997;3:491-496. Rosenstiel SF, et al. Contemporary fixed prosthodontics. 2001;3:513-515. Seibert JS. Reconstruction of deformed, partially edentulous ridges, using full thickness onlay grafts. Part I. Technique and wound healing. CompendContinEduc Dent. 1983;4:437-453. Allen EP, et al. Improved technique for localized ridge augmentation. A report of 21 cases. J Periodontol. 1985;56:195-199. Misch CM, et al. Reconstruction of maxillary alveolar defects with mandibular symphysis grafts for dental implants: A preliminary procedural report. Int J Oral Maxillofac Implants. 1992;7:360-366. Seibert H and Salama H. Alveolar ridge preservation and reconstruction. Periodontology. 2000. 1996;11:69-84. Zucchelli G, et al. The connective tissue platform technique for soft tissue augmentation. Int J Periodontics Restorative Dent. 2012;32:665-675.